Hair loss is a common problem almost every one faces at some point in their lives. Losing 80 – 100 hair strands per day is considered normal. But it becomes a matter of concern when a person starts losing clusters of hair while wiping the hair with a towel or combing the hair. Excessive hair loss leads to thinning of hair, receding hair line and baldness. Few reasons for hair loss include genetics, certain illnesses, medications, poor diet, stress, etc. Thankfully, there are a number of natural home remedies using ingredients such as eggs to control hair loss successfully. Is Egg Useful for Preventing Hair Loss? The healthy fatty acids present in egg yolk moisturize the scalp and hair, maintains it smooth and prevents hair breakage. Compound Lecithin found in egg yolk is a type of protein that minimizes frizz and reduces tangling (one of the reason for hair loss). Vitamin A present in eggs control sebum production in the scalp and treats dandruff. Vitamin E present in eggs protects the hair and scalp from sun damage. How to Use Egg for Hair Loss? Eggs can be used alone or in combination with other natural ingredients to treat hair loss. We have mentioned them below with a detailed description. Break couple of eggs in a bowl. Whisk it with a spoon till it becomes frothy. Apply it to your scalp and hair thoroughly. Wear a shower cap and leave it on for 30 minutes to an hour. Wash your hair with cold water followed by a mild shampoo. Note – People with oily hair can use only the egg whites while those with dry hair can use the whole eggs for this mask. Yogurt is a rich source of vitamin B5 and vitamin D, both of which nourish the hair follicles and prevent hair loss. Anti-fungal properties of yogurt prevent hair loss caused by fungal infections of the scalp. Break an egg into a bowl, whisk it with a fork and set aside. Take 2 tablespoons of yogurt in another bowl and whisk it as well. Now, combine the two ingredients and mix it thoroughly with a spoon. Apply this mixture to your wet scalp and along the hair. Wash it off thoroughly with water followed by a mild shampoo. Honey is a natural emollient that helps to keep the scalp and hair well-moisturized. It increases the elasticity of the hair strands that prevents breakage. The antiseptic and antibacterial properties of honey fight off fungal and bacterial scalp infections that cause hair loss. Break an egg in a bowl and whisk it thoroughly with a spoon. Add a tablespoon of honey to it and mix it well. Apply this mixture all over your scalp and hair. Tie up your hair in a bun and wait for an hour. Wash off with water followed by a mild shampoo. Note – It is best to use raw, organic honey for this hair mask to get best results. Fresh lemon juice is loaded with vitamin C, folic acid, B-complex vitamins and antioxidants that nourish the hair roots and prevent scalp infections. Lemon juice also promotes blood circulation to the scalp. It opens up the clogged hair roots by cleansing away dirt, dandruff and other impurities from the scalp. Crack a couple of eggs in a bowl. Add 2 tablespoons of fresh lemon juice to it and beat it well to make a frothy mixture. Massage this mixture all over your scalp and hair from root to tip. Wash off with cool water followed by a mild shampoo. Note – If your hair is excessively dry then you can use only the egg yolks for this hair pack. The intense moisturizing properties of olive oil prevent dryness of the scalp and hair. It fights off dandruff which is one of the main causes of hair loss. In addition, massaging the scalp with olive oil promotes blood circulation and minimizes hair breakage. Break an egg into a bowl and whisk it thoroughly with a fork. Add a tablespoon of extra virgin olive oil to it and whisk it again. Apply this mixture all over your wet scalp and hair. Put on a shower cap and wait for a couple of hours. Rinse with cool water followed by a mild shampoo. Repeat the method 2 times in a week. Compound Ricinoleic acid found in castor oil promotes circulation to the scalp and induces hair growth. The powerful antibacterial and anti-fungal properties of castor oil prevent microbial activity in the scalp and minimize hair loss caused by scalp infections, folliculitus and dandruff. Break an egg in a bowl and whisk it thoroughly with a fork. Add a tablespoon of pure castor oil to it and mix well with the egg. Massage this mixture thoroughly into your scalp and hair. Wash off with cold water followed by a mild shampoo. Note – Castor oil is highly viscous in nature so you have to shampoo your hair several times to wash it off. The healthy fatty acids found in coconut oil bind to the natural proteins in the hair and prevent them from breaking. The antioxidants, vitamins K, E and iron present in coconut oil nourish the hair roots. Combine 1 whisked egg and a tablespoon of coconut oil to it. Massage with your finger tips for 5 minutes. Rinse with cold water followed by a mild shampoo. Fenugreek seeds are a rich source of protein that nourishes the hair follicles and rejuvenates them. In addition, lecithin present in fenugreek strengthens the hair follicles and prevents breakage. Soak 1/2 cup of fenugreek seeds in water for overnight. Strain the seeds and put them in a grinder. Crack one egg on the fenugreek paste and mix it thoroughly with a fork. Wash it off with cold water and mild shampoo. Repeat the treatment once in a week. Amla or Indian Gooseberry is a potent source of vitamin C, antioxidants and amino acids that nourish the hair follicles, increase scalp circulation and promote new hair growth. Antibacterial, anti-inflammatory and anti-microbial properties of amla treat hair fall caused by scalp infections. Take 3 to 4 amla and cut them into halves. Discard the seeds and crush them to make a paste. Add one egg to the amla pulp and mix it with a spoon. Apply this mixture to your wet scalp and hair. Follow this treatment once in a week. The healthy monounsaturated fatty acids present in avocado contains high levels of vitamin E that protects the hair from environmental damage. It is a natural moisturizer that prevents dryness and damage of the hair. Avocado stimulates circulation to the scalp and promotes hair growth. Take 1/2 of a ripe avocado and mash it to from a creamy paste. Add an egg to it and whisk it with a fork. Apply this creamy mixture all over your scalp and hair. Wash off the application with water and a mild shampoo. Make sure to wash off your hair with cold water after applying any egg hair packs. Rinsing with warm water will curdle the egg and make it stick to the hair, thus making it difficult to wash off. Use a mild shampoo to wash your hair in order to get rid of the egg smell from the hair. Those with excessively oily hair and scalp should use only the egg whites for these remedies. Those with normal and dry hair can use whole eggs or egg yolk for these remedies. Add essential oils to your hair packs for added benefits. Opt for hot oil massage 2 to 3 times every week. Use chemical-free, herbal hair products to minimize hair damage. Minimize the use of heated styling tools and avoid colouring your hair. Reduce stress and follow a healthy diet rich in healthy fats, whole grains, fruits, vegetables, etc. Share your remedies, tips and suggestions with us in the comments section. We are happy to hear from you. Is it also important to condition the hairs after shampooing? I have excessively dry and rough hairs and whenever I use eggs on my hairs it made them even drier after shampooing. Why is it so? 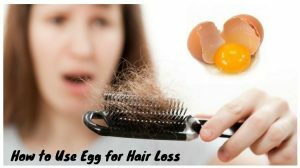 If eggs application is making your hair too dry then avoid using them and try any other method mentioned in this article – http://homeremediesforlife.com/dry-hair/. It is better to condition the hair after shampooing because it forms a protective layer on the hair to prevent moisture loss. How many times are you suppose to repeat the castor oil egg mask? Because isn’t it not good to wash your hair everyday. It is better to try castor oil egg mask 2 – 3 times in a week. Washing your hair daily can leave the scalp excessively dry leading to scalp infections. So, 2 – 3 times in a week should be good enough. I used to have thick hair until I cut it a few months ago since then my hair has just fallen out. And now I’m freaking scared that I will be bald. I have oily hair so I’ll use the egg white hair mask. Do eggs really work on my hair? I’m afraid of putting something on my hair. Thank you! Yes, eggs are helpful in repairing the damage, strengthening the hair follicles and nourishes the hair. Choose any one method among the above mentioned and try it regularly as specified for achieving effective results. I applied egg and lemon 2 times in one week. in the first day, hair fall reduced. but in the second day it was as before. is it because it is because of giving two times in one week? Try the remedy for at least a month to know whether it is working or not. Even after a month, hair fall doesn’t reduce then stop using this method and try another one. can I use onion juice with egg yolk? onion helps me to grow new hair. My hair are dry .can I use egg white or egg yolk or both? You can use whole egg (both egg white and yolk). For effective results add 1 – 2 tablespoons of olive oil or coconut oil into it. Please is it advisable to apply other hair treatment after washing the egg off the hair? Nope, egg treatment is enough for treating hair loss. I just used the treatment egg yolk, castro oil and coconut oil for 40 mins and wash it off. But after finished my hair fall even worse than usual, is it normal? I am having dry hair.which remedy is good for it? My hairfall more increased after using egg yolk mask. Now what should I do plz advise?? 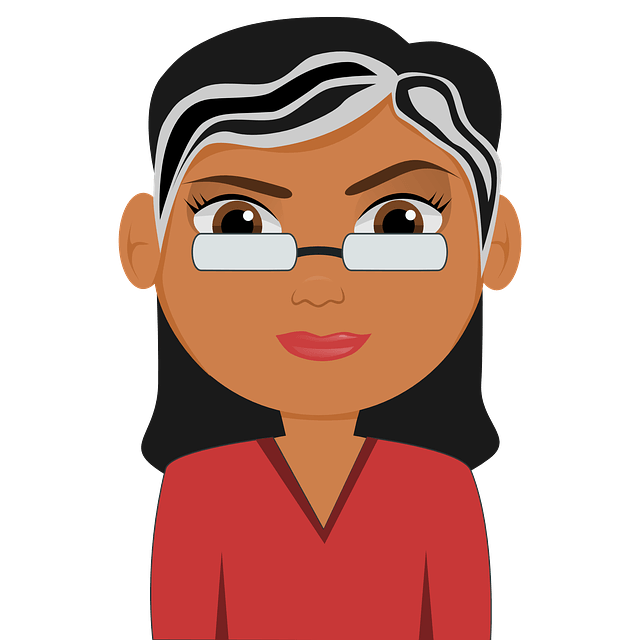 Why does the eggwhite makes my hair kind a dry? Should I use the yolk instead? or both together. Is it compulsory to wash hair by cold water? Also egg itself acts as conditioner right..thn should we use extra conditioner? I always had less volume hair but now my hairline is going backwards. I’m afraid I’ll go all bald. Would applying egg really work? Can I mix honey, lemon, yoghurt and egg at the same time?